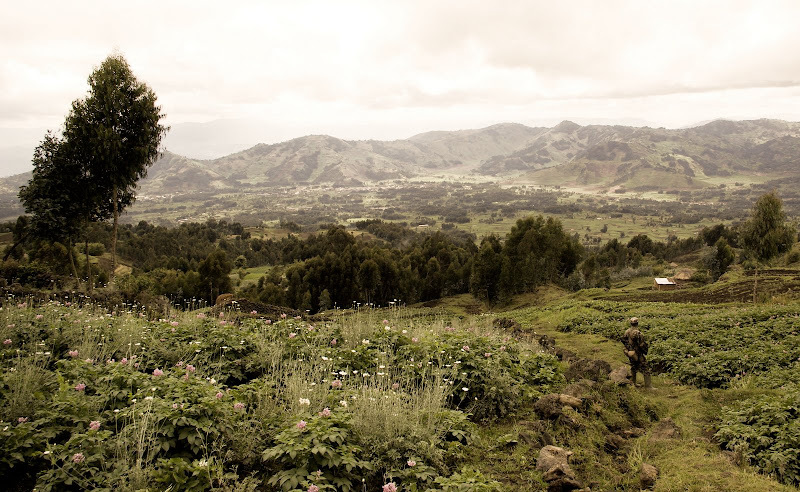 Its pretty incredible that a central African country located on the Congo River has to import over 95% of its food. 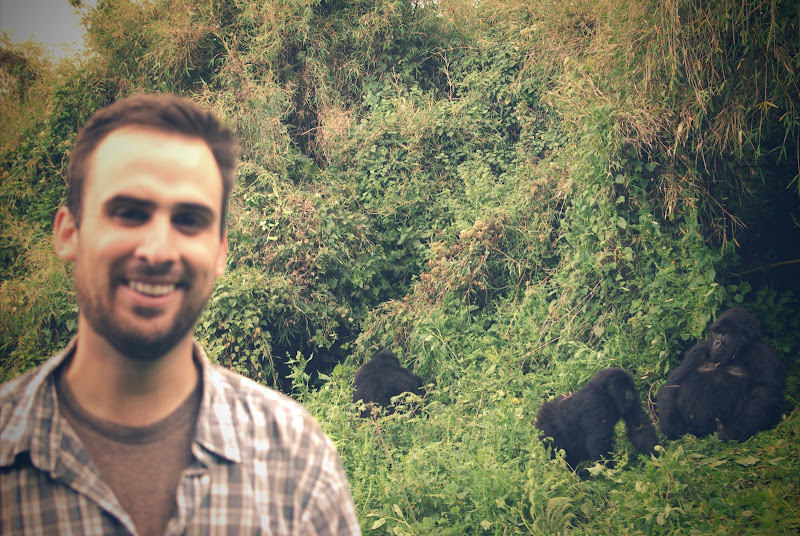 Here's an article on similar deals that seem to be more predatory than this one hopefully is. 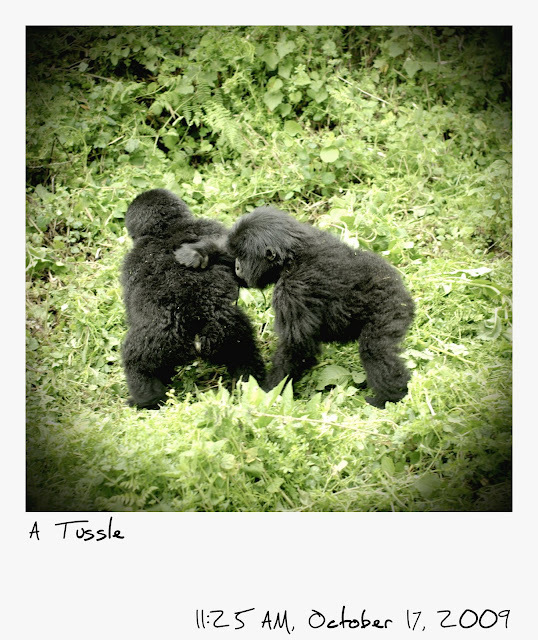 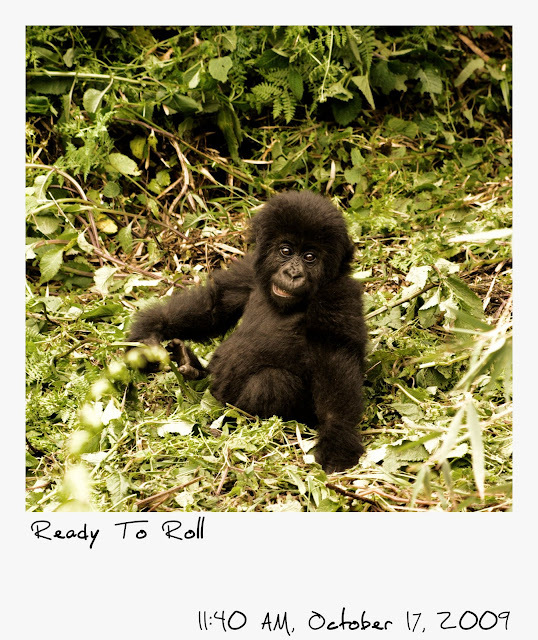 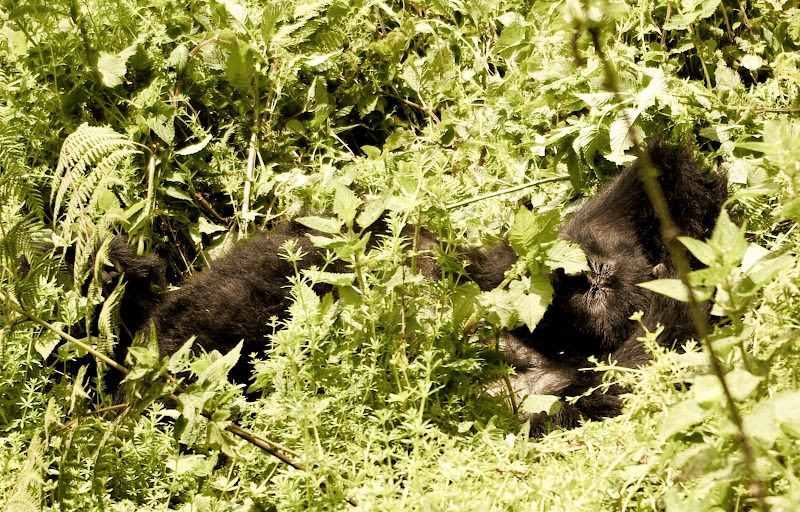 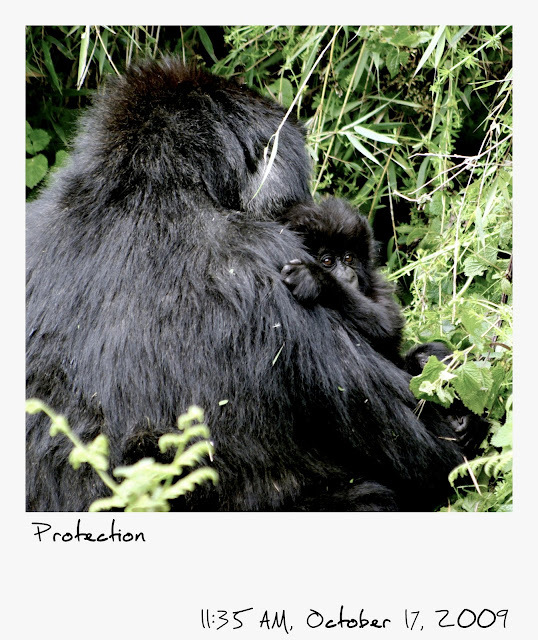 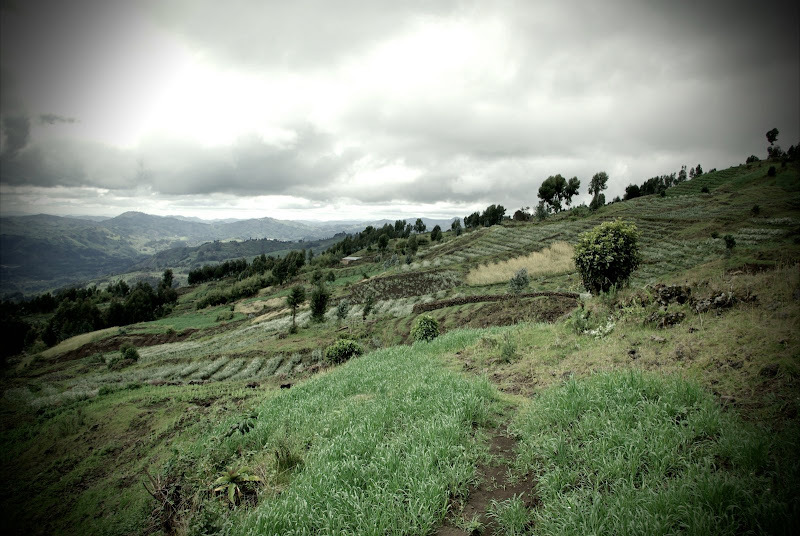 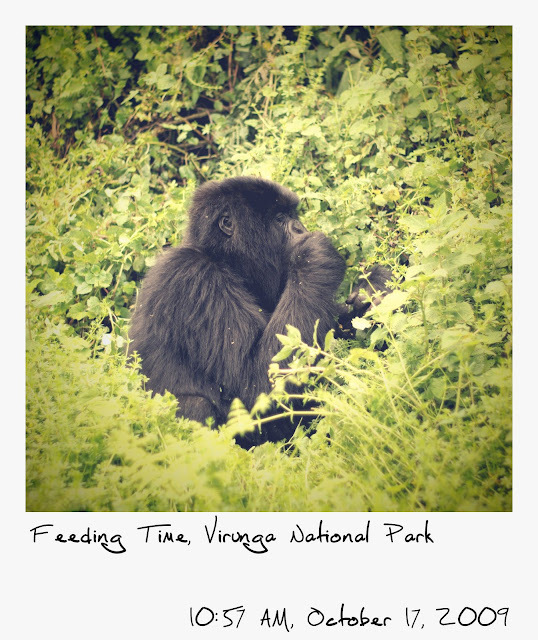 On Saturday morning, I went to see the mountain gorillas located in the northwest corner of Rwanda. 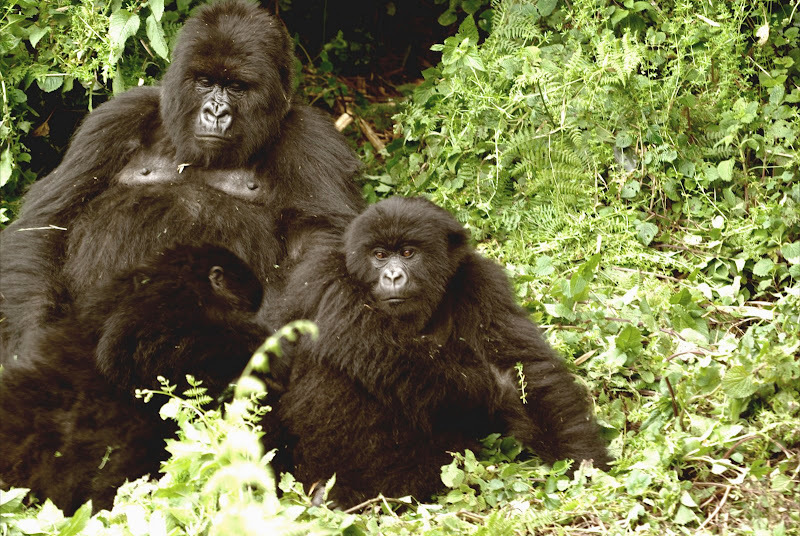 They are considered a Critically Endangered species, and the NW corner of Rwanda has about a third of the world's population with approximately 400 gorillas in the country. 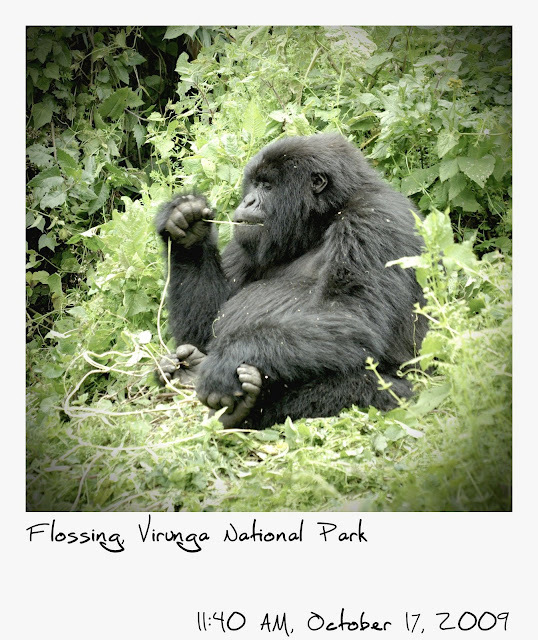 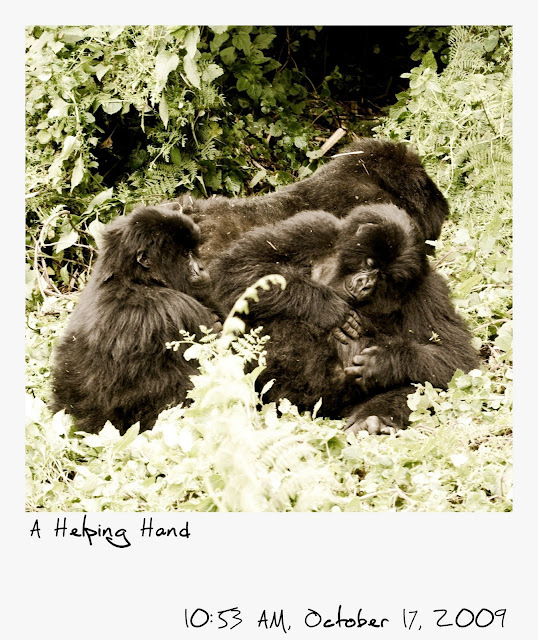 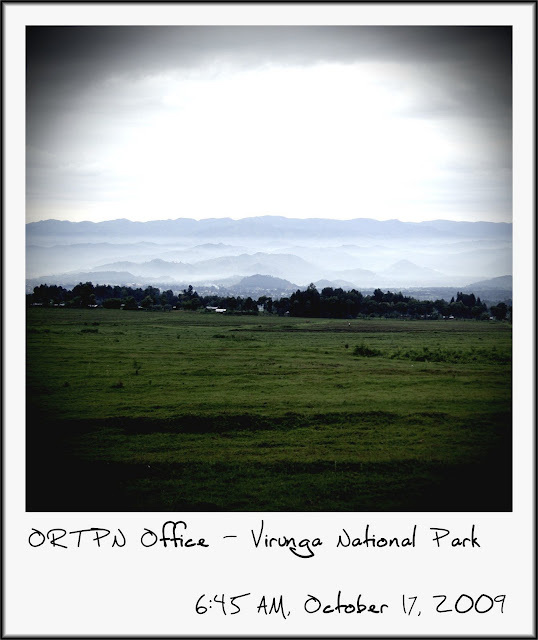 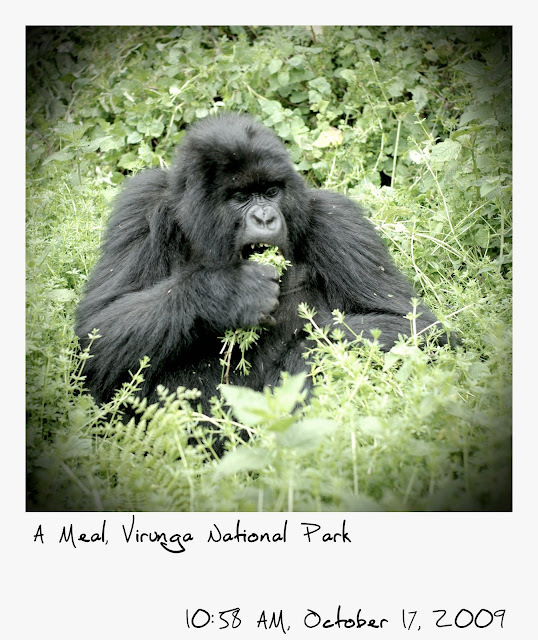 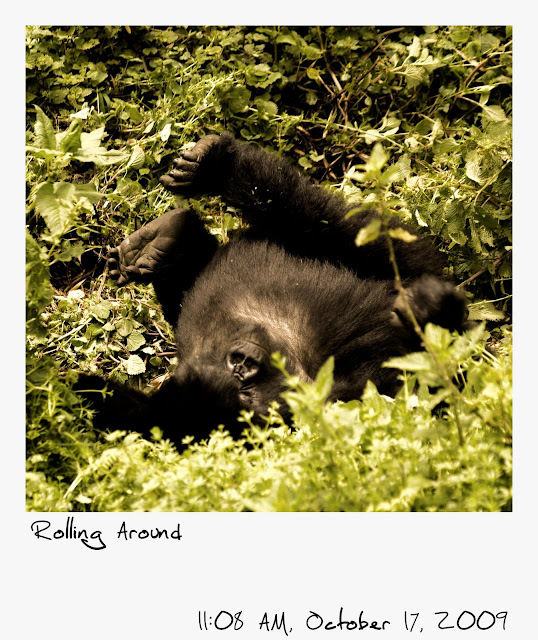 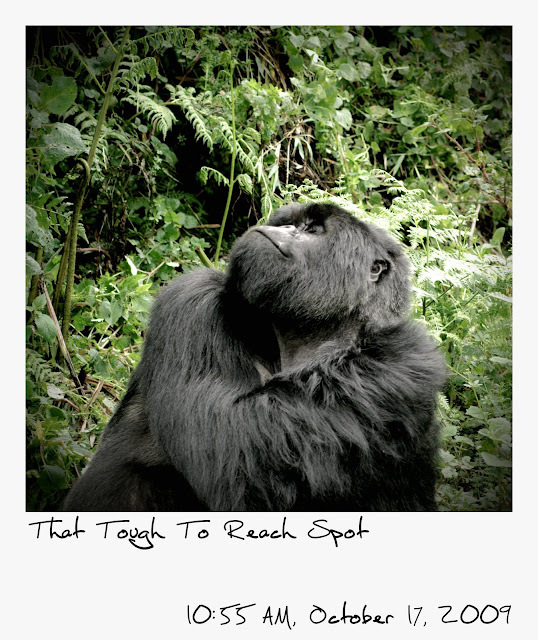 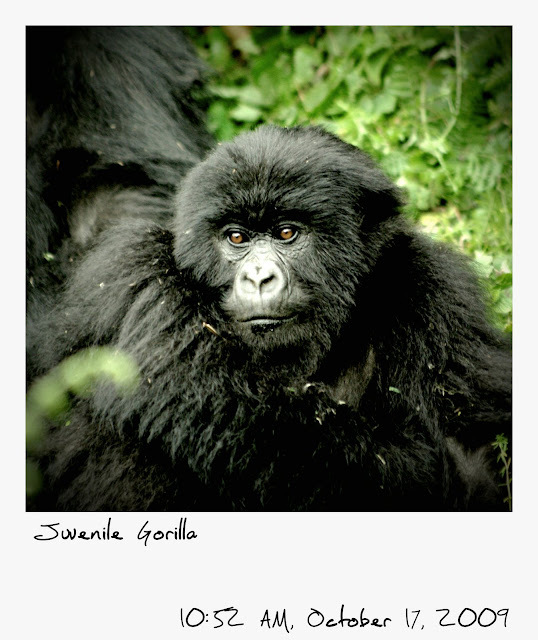 The other mountain gorillas are located just across the borders with Uganda and DRC. 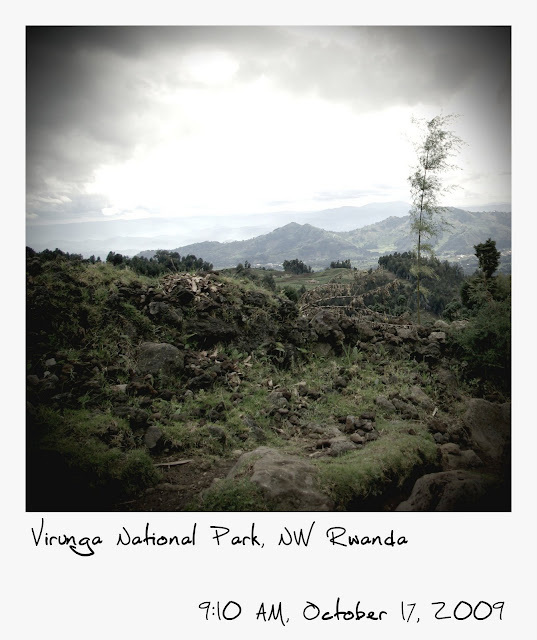 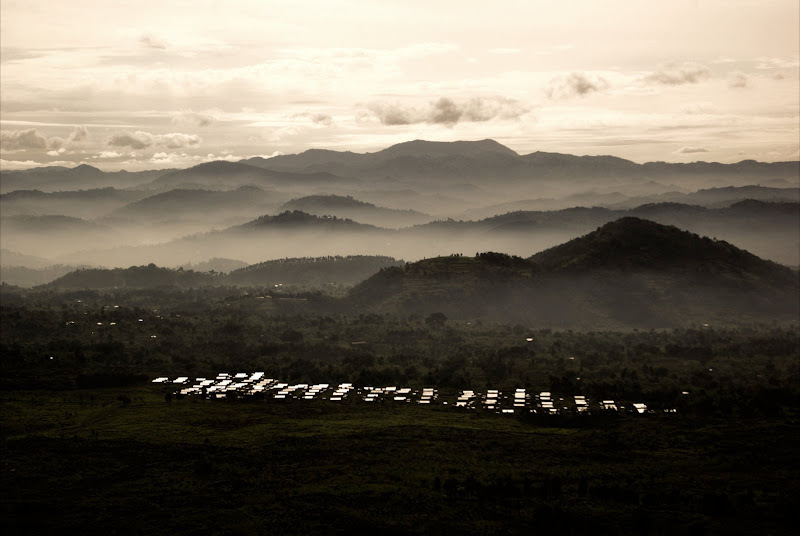 They have found their final remaining home here among the many active and dormant volcanoes in this region. 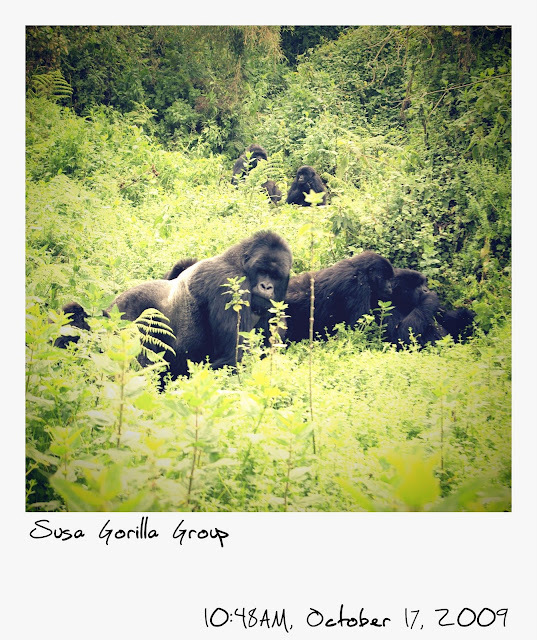 In Rwanda, there are approximately 20 groups of gorillas, and visitors are allowed to visit only five groups a day with only eight people visiting each group and only for an hour. 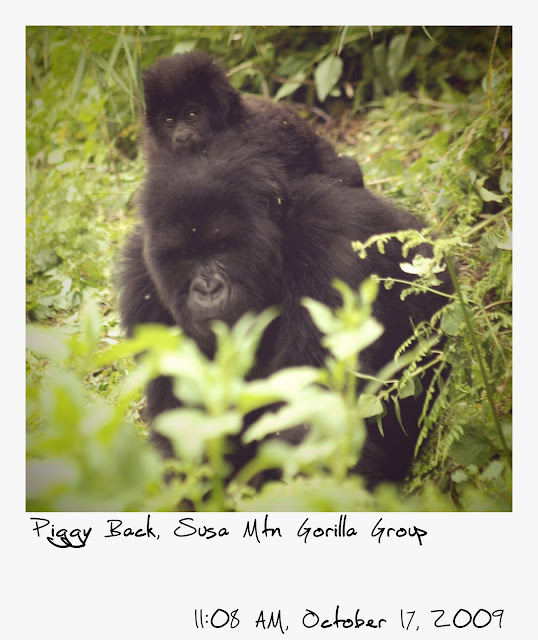 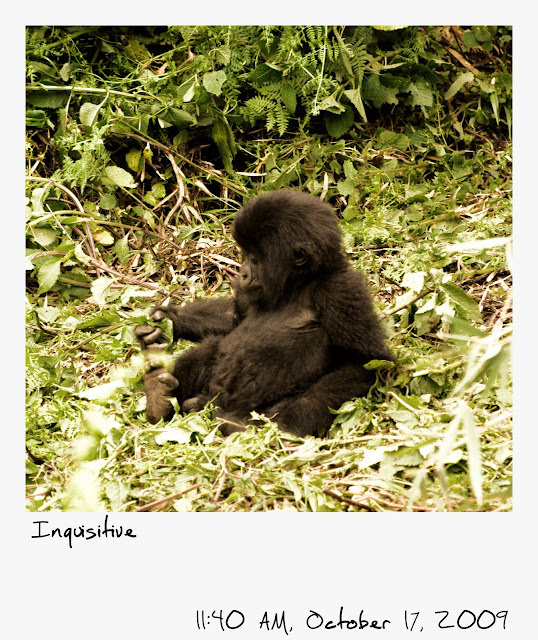 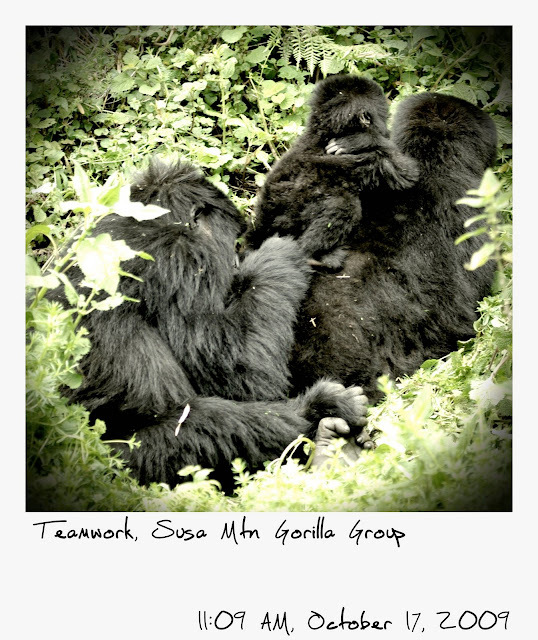 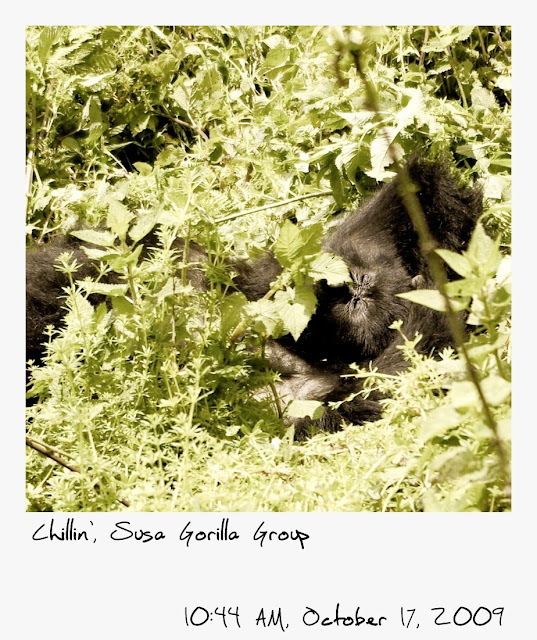 I ended up in the group to visit the Susa group, which with over 40 gorillas is the largest group. 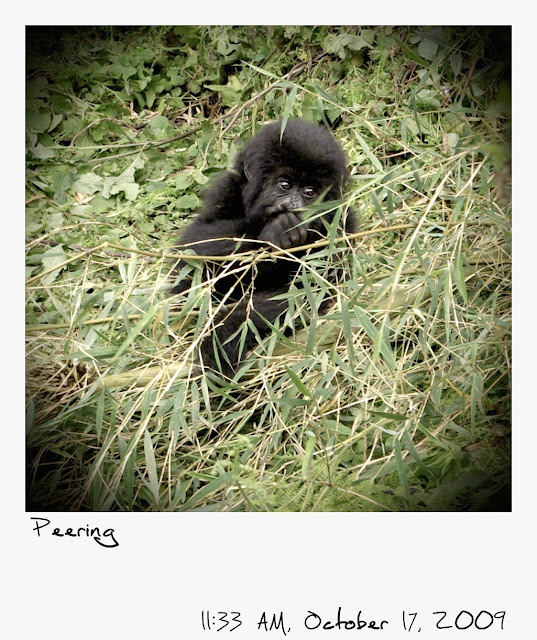 After a short car ride, we had about a two hour hike up to find the gorillas. 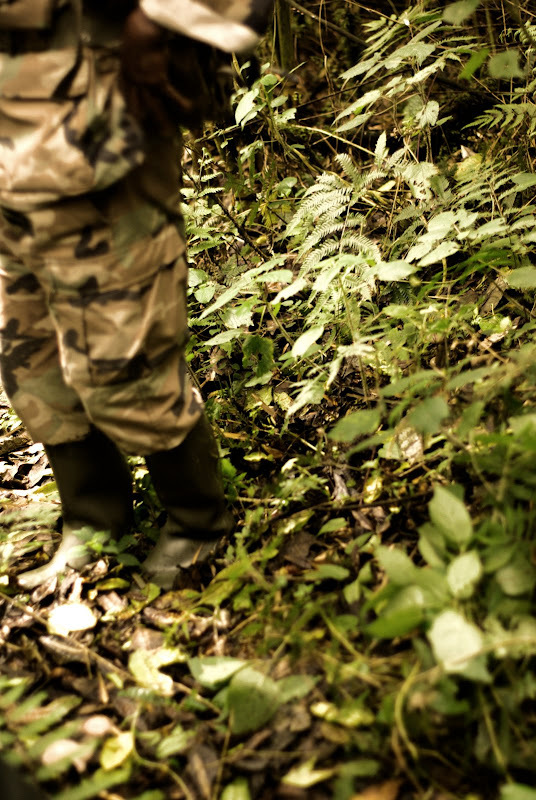 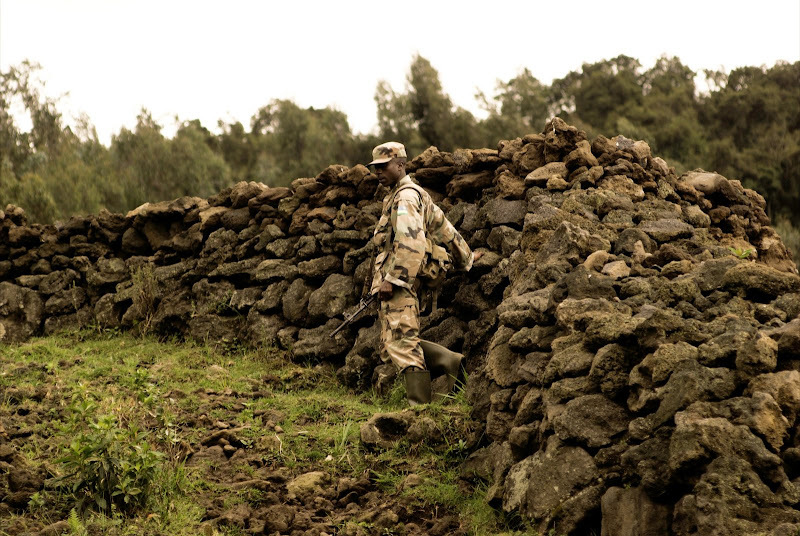 A soldier accompanied us, but apparently his only real purpose was to be there if we came across any of the poachers who try to kill the gorillas. 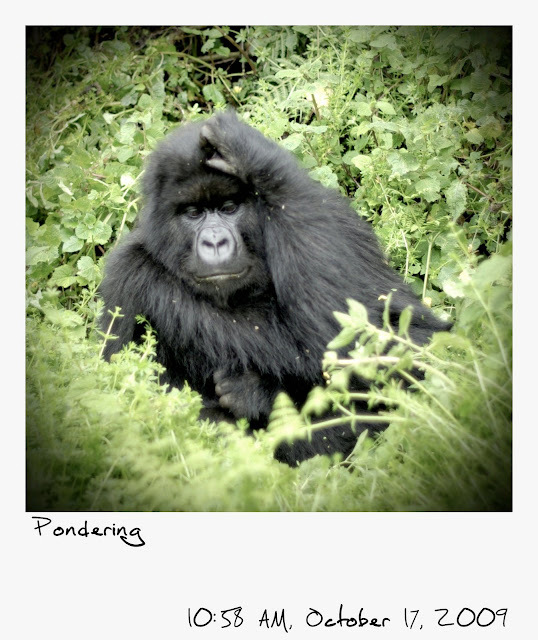 He stayed far off and was not nearby once we got to the gorillas. 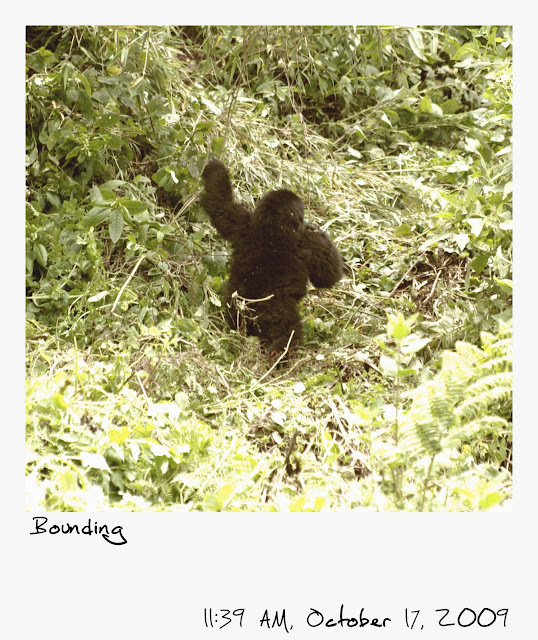 So we came up what eventually became a very dense forest and a narrow trail until it opened to a clearing about the size of a tennis court. 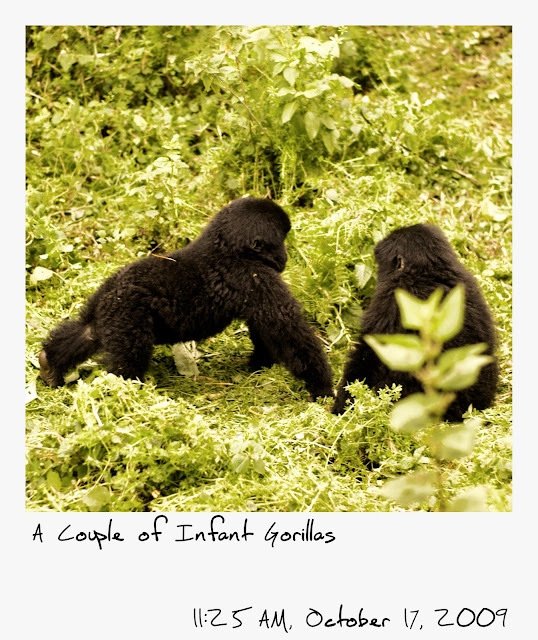 And all of a sudden we were standing about 20 feet from several gorillas. 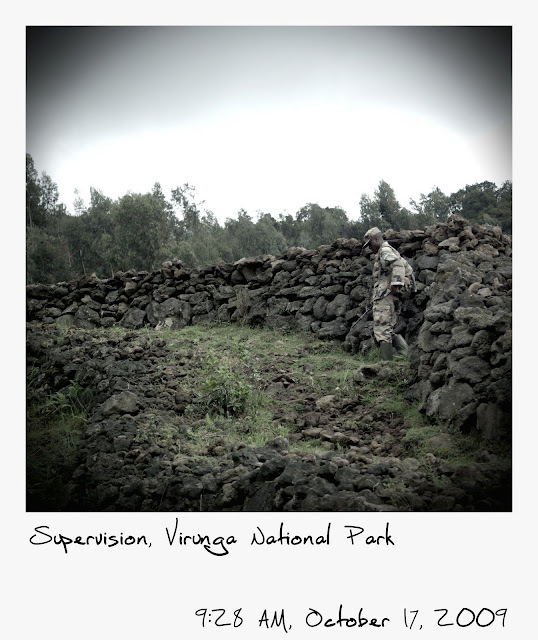 It was just the eight of us visitors and a couple of guides/trackers. 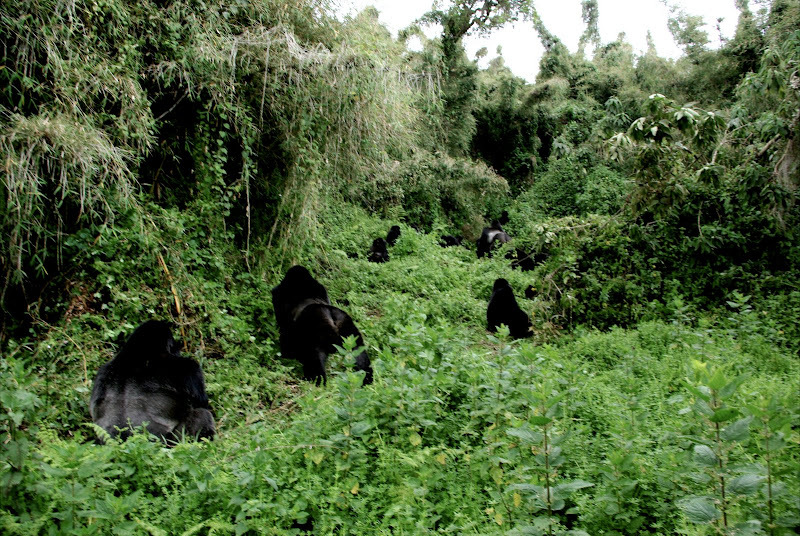 Over the course of the next hour, well over 20 gorillas, ranging from six months to 12 years, would pass through that clearing. 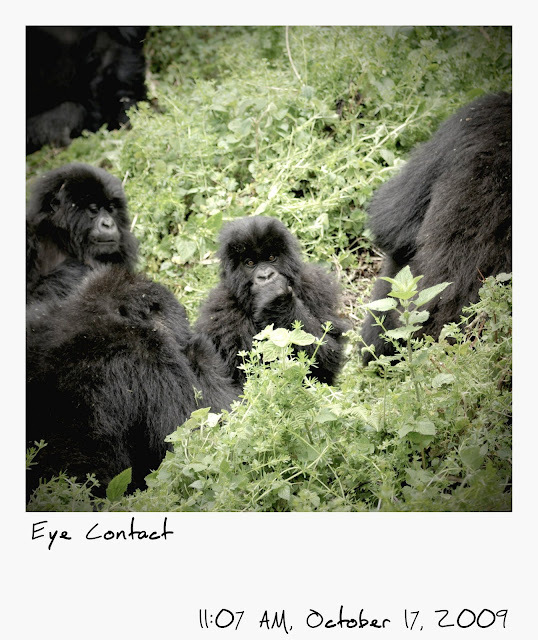 Perhaps the most incredible impression you were left with after visiting the gorillas was just how human-like many of their mannerisms and social interactions were. 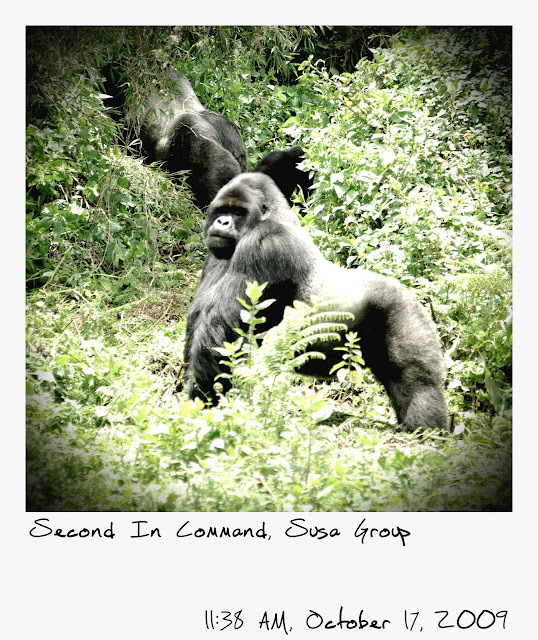 It meant I never really felt that intimidated by them despite their enormous size and our proximity. 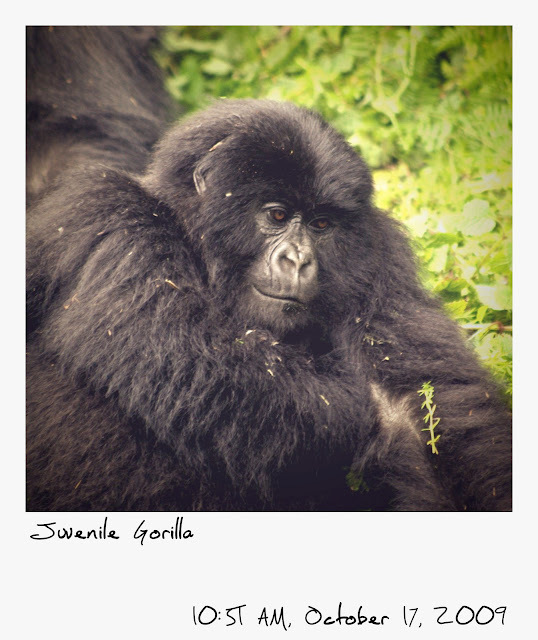 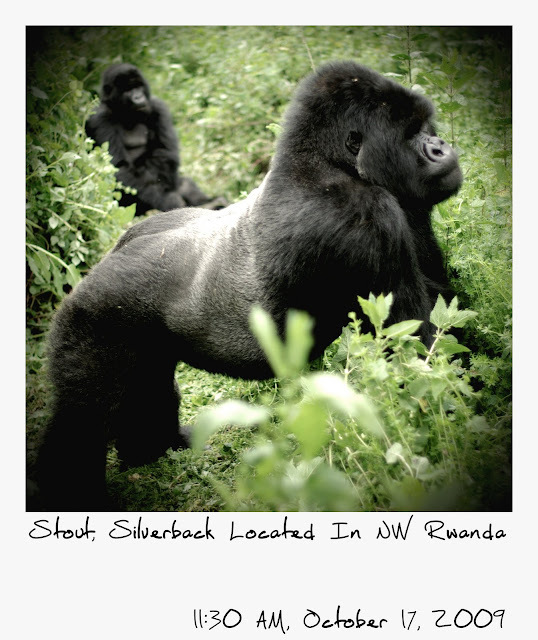 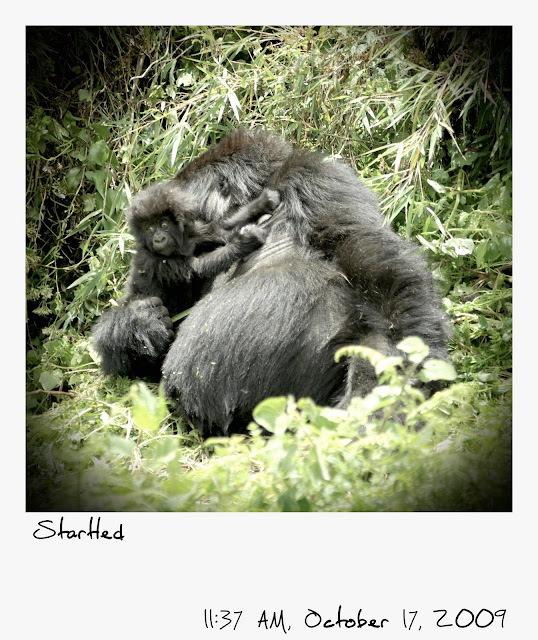 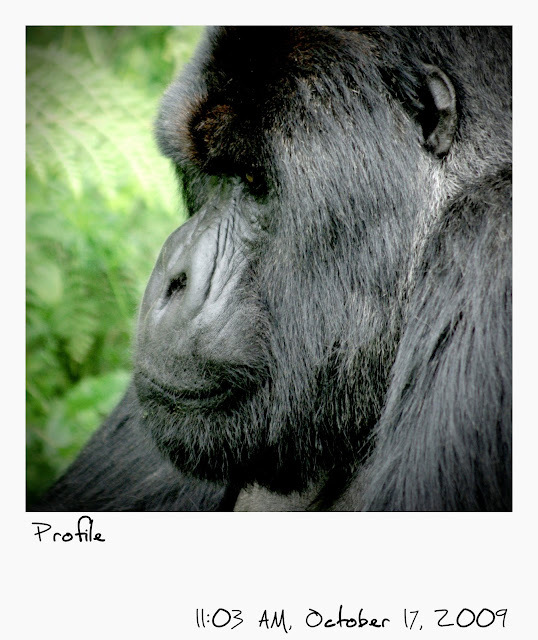 The gorillas with silverbacks are the adults over six years old. 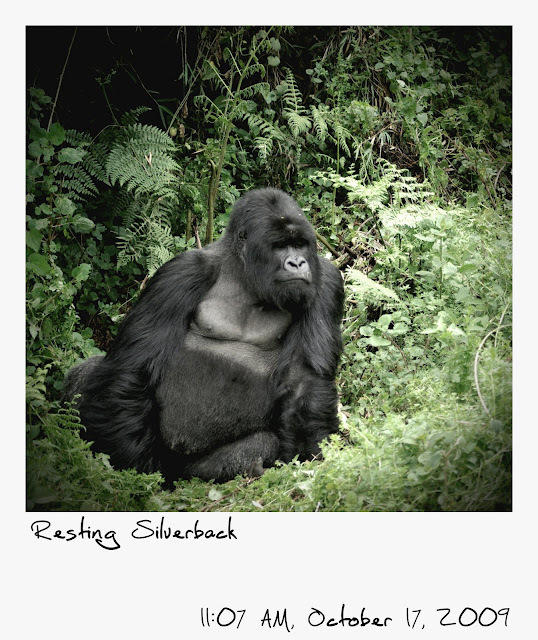 The largest that we saw apparently weigh 200 kilos, or 440 pounds. 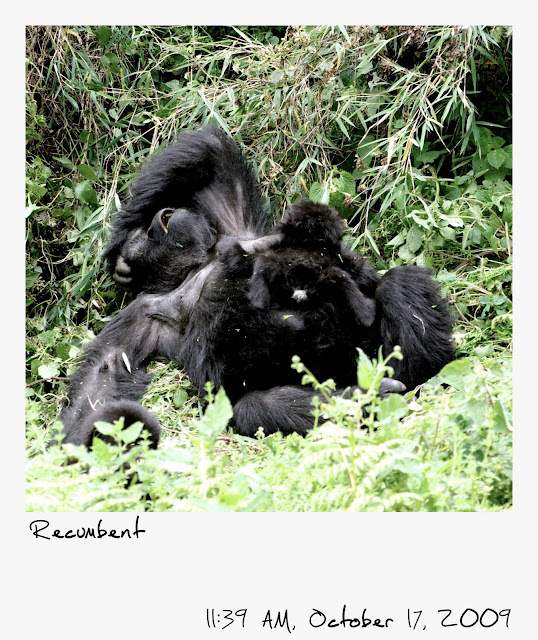 As you can tell from the picture below, we were extremely close to the gorillas the entire time. 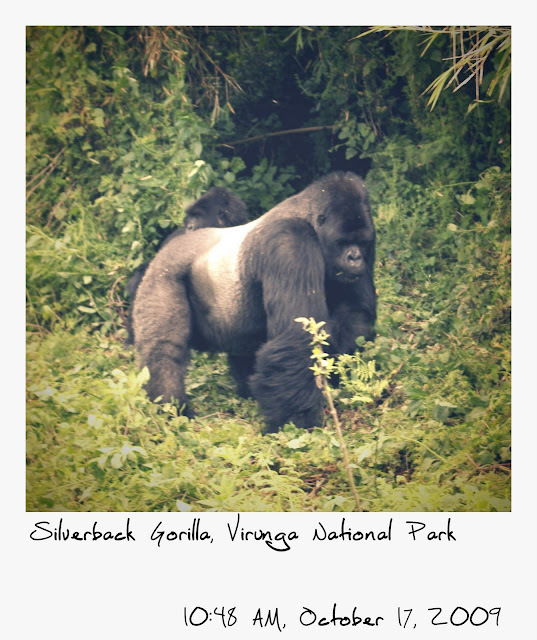 This silverback actually came through the bamboo forest behind us and surprised our group by just making his way right through us. 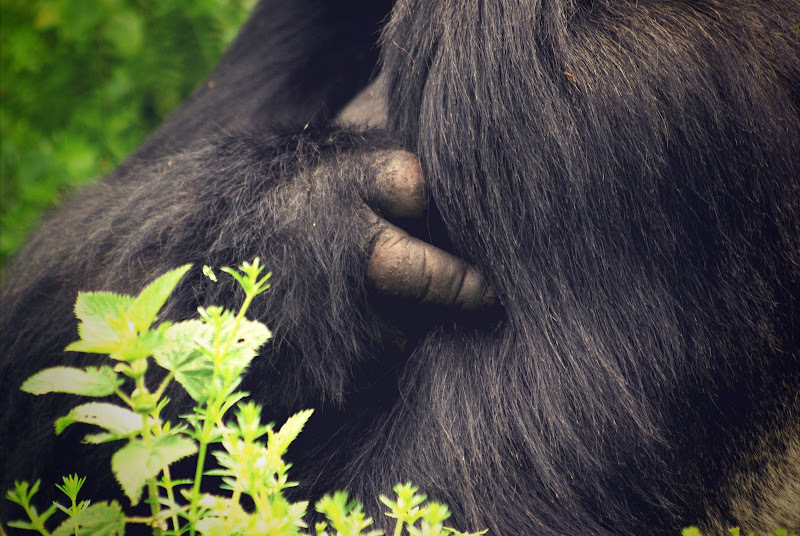 I have some good video of him basically rubbing against my legs, but its going to be a while before I can edit it and get it up on the site.